That’s A LOT of info to digest, but let’s get right into it. You’re probably wondering why we haven’t posted in a quite a long time and the reason behind that is that we’re focusing our time and effort to completely take over our local market: Panama. I’ve been wanting to do this for a very long time, and finally Powered Solutions is ready to take the big step and deliver training and services to all the businesses in Panama. We started operating from Panama in 2013, but our focus until a couple of months ago was the international market with customers all over the world. We have a very aggressive plan to reach the top of the Partner ecosystem here in Panama. A clear roadmap of where we want to be, how we’re going to do it and what we plan to do – so if you’re near in Panama, you’ll be hearing more from us pretty soon. 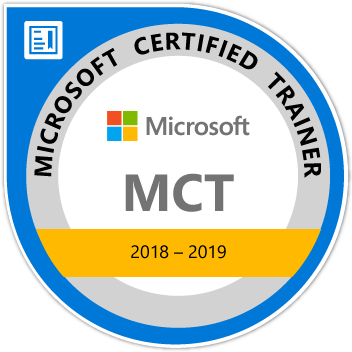 Microsoft Certifications Goals– Can a Excel/Power BI guy Achieve this??? For the past few months I’ve been getting more and more serious about my business and the certifications that I hold. With that in mind, I’ve been thinking about the next steps that I need to take in order to have my company be a Gold Partner and in order to make that happen I need to have enough customer references (those are ready to go!) and I also need to have enough professionals in my organization that have the correct certifications – starting with myself. As you may already know, Ken Puls and myself wrote a book called ‘M is for Data Monkey’ almost 3 years ago and we’ve been working thoroughly on the 2nd edition of that to keep the content up to date and relevant. We’ve got some news to share with you guys about the development of this book and when it’ll arrive to your favorite book store. Before we get into the this, we would like to cover some aspects as to why it has taken us so far to release this book. Last week was a busy week! Had the pleasure of flying over from Panama to the US for the first time and meeting tons of cool people for the very first time. One of them being my partner Ken Puls whom I’ve worked with for the past few years and yes – that was the first time that we actually met in person, how crazy is that? Furthermore, that was ALSO the first time that I met Rob Collie who I’ve also worked with for quite a few years!! I’d like to take this opportunity to thank everyone who attended the event and who reads this blog or watches any of my videos. It is thanks to you that I’m able to do things like these and I hope that you guys enjoyed the event as much as I did. 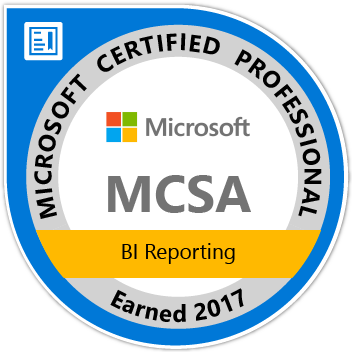 I’m speaking at the Microsoft Business Applications Summit 2018! Ken and myself just released a new Introductory video course on Udemy! This course is basically an introduction to the potential of Power Query and the videos are taken directly from our full Power Query Academy, so you can rest assured that they are of high quality and high production value. For the past 8 weeks I’ve been focusing in exploring the Power Query Extensibility Model (PBI Custom Connectors) and I can confirm that the possibilities with this extensibility model are incredible. Custom Connectors not only bring new functionality to Power Query (like new data sources), but it also extends current functionality and can make some HUGE quality of life changes and improvements to the way we work with Power Query by creating custom connectors that act as function libraries. This is a short a blog post to let you know that there’s a bunch of new resources that have been published lately and we’re keeping things rolling over here.